Hometeam is an in-home care company with a unique mission: to empower Caregivers. Founded in 2014, Hometeam recognizes that exceptional care and support for families starts with the Caregiver. With plans for expansion across the United States, Hometeam is reimagining how professional Caregivers are trained, supported, and connected. We collaborated with Hometeam to build a new brand identity and extend the system through a website redesign and collateral. 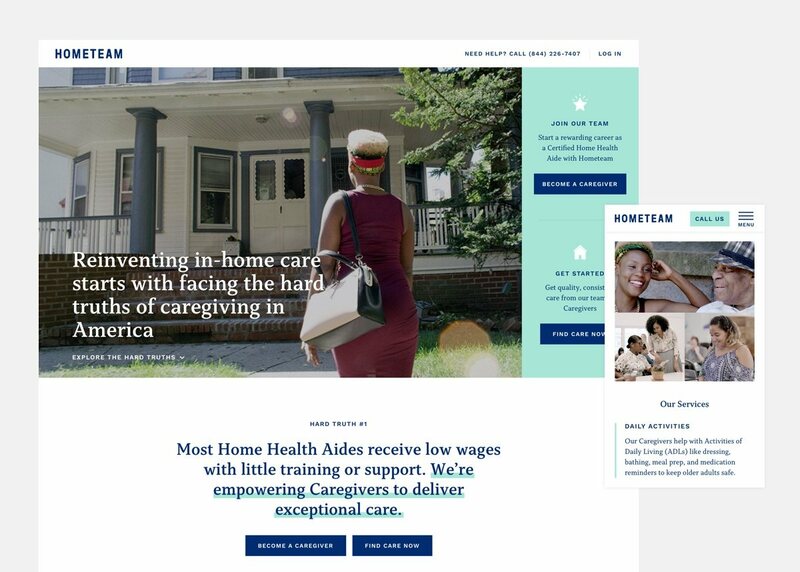 When Hometeam came to us, their challenge was how to communicate their message in a way that inspired Caregivers and made them to proud to be part of Hometeam, while also building trust with in-home care customers. In addition to our research, we held a number of workshops with Hometeam to immerse ourselves in the subject matter and collaborate on the visual direction for the brand. 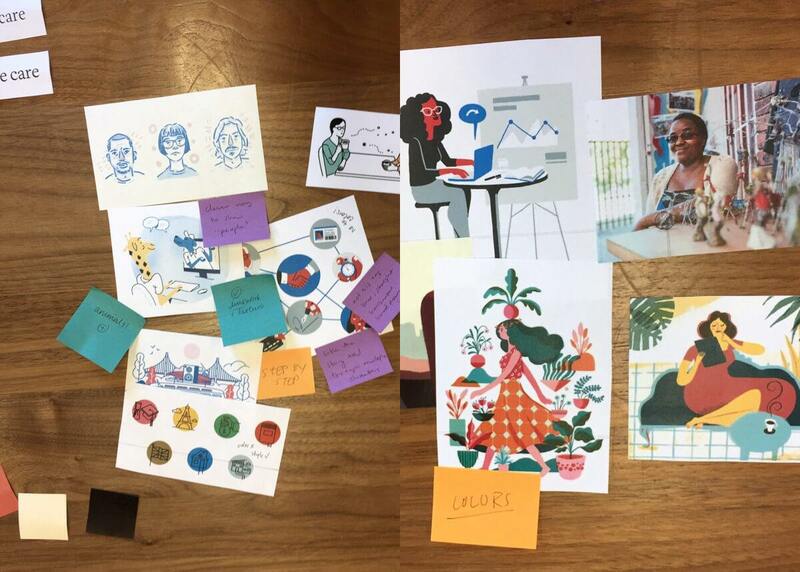 A primary focus for the rebrand was to build a scalable brand identity system that could not only exist in digital but extend to the other key touch points, such as sales sheets and other print collateral, for Hometeam’s core audience groups. To successfully communicate Hometeam’s mission on the website, we knew that context would play an important role. As a framing mechanism, we shined a spotlight on the hard truths that exist in the in-home care industry today. We used this as an opportunity to go deeper into the ways that Hometeam is addressing these challenges and reimagining in-home care. Along with the website redesign, we worked with Hometeam to develop photography and content to bring their mission and tone to life. Explore the website at www.hometeamcare.com.